Well it’s upon us. Indoor trainer season is here. For many cyclists it has become either too cold or it’s getting dark before you are able to get out for your ride. For many avid cyclists this can mark the beginning of the “off-season” and for those of you that consider yourselves more of the “weekend warrior” it can mean putting the bike away all together. Well for both types of rider that doesn’t have to be the case. Thanks to indoor trainer options you no longer have to stop riding or go outside and brave the sometimes harsh elements that New England winters can throw at us. Unlike going to the gym or taking a “spin” class an indoor trainer allows you to continue riding your own bike. This means that when the nice weather rolls around again and it’s time to go out and hit the road or trails you don’t need to get used to bike all over again ! This can cut down on early season injuries as well. A few years ago we only had a couple of options as far as riding indoors went. You either had rollers which can be very difficult if not unsafe to ride for most people or you had a very loud wind resisted stationary trainer. To many of us neither option was very appealing at the time , all but the die hard cases amongst us chose either. 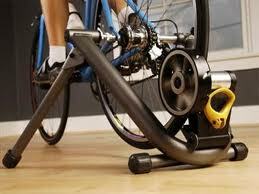 Today there are options that range from the old “wind trainer” , magnetic or fluid resisted options of trainers. Rollers still exist but now have an option that will hold the front end of your bike in place and are a fun option that has become much safer for the more balance challenged of us. In the past two years I have spent the majority of my indoor training time sitting on two different models of trainer from one the bigger names in the business. CycleOps trainers have been around for years and have one of the best if not the best names in trainers. Riders have logged millions of miles on their products over the years and CycleOps has helped thousands maintain if not gain on their previous year’s fitness gains. My main goal here is to give a little insight into my experience with the two primary units I have used over the past 3-4 years and my thoughts on both experiences. When Fluid trainers became the next big thing I quickly grabbed a Fluid2 trainer and ran home and set if up. Immediately I noticed how quiet the fluid resistance unit was compared to the wind trainers of old. The unit itself is almost totally silent. Any noise you hear will be from the contact area of the tire on the metal drum area of the trainer. It is also important to note that the more smooth the tire the less noise you will have. Another important note is making sure you keep your tire pressure up to snuff. A soft tire makes more noise and can create unwanted drag on the trainer . The frame of the Fluid2 is very stable. At times I have found myself on other manufacturer’s trainers warming up at races or at a friend’s house and some of these other trainers did not feel as stable , especially during harder efforts. Setting the bike up on the trainer is quite easy. After initial assembly while following the easy to follow directions you will spend a few minutes setting up the over sized quick release that creates the tension that “locks” the bike into the unit itself. I highly suggest using an all metal quick release skewer in your bike if at all possible. Many of the higher end skewers coming on bikes today simply do not mesh well with the mounting areas on the trainer. CycleOps does a good job at supplying an all metal skewer with most of their trainers in my experience. Once the bike is in the trainer and your tire pressure has been checked bring the resistance unit into contact with the tire. I suggest making a small dimple in the tire where contact is made to ensure proper contact has been made and the tire wont slip under a harder effort. Next you will want to think about leveling the bike in the trainer. When a bike is mounted it will raise the tail end on the bike a bit higher than the front end. You can use a phone book or two to do this or pick yourself up a riser block when you purchase your trainer. At this point I noticed a few things while riding the Fluid2. It is very smooth once properly set up , pedaling is smooth and very quiet under pressure . You can really hammer on this trainer. Getting out of the saddle is no problem . One thing I did notice which is what prompted me to try out the next trainer on my list was something that may not be an issue to some riders but may be a problem for others. That was the resistance curve attached to the fluid unit. The harder you push on the pedals and the higher your wheel revolutions get the more the trainer pushes back. Now some people may see this as a blessing and for many it should be but for people who have predetermined power training zones it can be a real head scratcher . When riding at my prescribed power training zones my RPE (rate of perceived exertion) was much higher than that of being out on the open road. Seeing as how I use my trainers for doing a heavy dose of 10-30 minute intervals this could at times become an issue. At times the sometimes drastic change of feel in resistance from road to trainer can become difficult to deal with. Now some folks may love the increase in perceived resistance especially when doing shorter , more intense intervals it can be nice but when doing FTP intervals of 20 minutes in January it can be far less enjoyable. However, I did find the Fluid2 to be perfect for getting in base miles and slightly higher intensity workouts in. But, due to the sharp power curve with the Fluid2 it is very difficult to maintain your proper power zones with real world RPE for longer periods of time while doing Sub-threshold intervals and above. The Fluid2 has served me well for a couple years now. I have logged thousands of miles on it at this point it is still working great. A great trainer for a rider who is looking for something better than a wind or magnetic trainer for their indoor workouts. The Fluid2 retails for $314.99 and is currently available . After struggling with the differences in feel from the outdoors to my Fluid2 I did some research and discovered that due to the preset power curve in the Fluid2 the only way to align my power and heart rate zones with real world RPE was to do some math and change my zones to fit the trainer’s power curve better. I did this for a while but then I decided it was time to try a different trainer with more adjustebility in it’s power curve. (The power curve being how much resistance the trainer offers in response to wheel speed ). Having had such good luck with previous CycleOps products I wanted to stay with the brand. I decided to give the Supermagneto Pro a whirl. Now this trainer works on magnetic resistance . Isn’t that taking a step down in quality you may ask. Originally I had the same feeling until my first ride on this thing. Having ridden lower priced and more basic magnetic trainers in the past (which do their intended job admirably by the way) I couldn’t fathom how a magnetic trainer could come close to the smooth ride and quiet operation of a fluid trainer. My concerns were quickly put to rest upon riding the Supermagneto Pro. First off , the construction is every bit as nice as the Fluid2 and better. The base of the trainer itself is even more beefy that it’s little brother and unlike the Fluid2 which uses semi hard rubber push on feet on the bottom of the legs and base the Supermag uses nicer adjustable feet. This comes in very handy if you are using it on an uneven floor. Next thing I noticed was the nicer mounting system on the SuperMag. CycleOps uses a nicer adjustment knob with incremental adjustabilty for an even more precise mount than the Fluid2. There is even an added safety measure that makes loosening during a workout near impossible. Worry free sprints for the win ! Now onto my biggest reason for wanting to try this trainer out, it’s adjustable power curve. The SuperMag has four resistance or power curve settings. Setting one is the easy setting designed for very easy days or recovery rides. Setting two is a real world road feel. Great for volume days and tempo rides. Setting three is your interval setting. Great for mid to upper intensity workouts were you want the trainer to match your intensity. Setting four is your hill climb or hardest setting. This setting will really make you feel like you are in the mountains. I have spent most of my time on this unit in settings 2 and 3. As I mentioned above 20-30 min intervals make up a big chunk of my training while indoors and setting 2 works great for giving a real world feel to these longer intervals and allowing me to keep my training zones and RPE where they should be on the road. Setting 3 , the interval setting is great for 3-10 minute intervals. Vo2 max workouts and steady state type intervals have a great feel in this setting. I have found the RPE to be slightly higher the real world but it is very close. This winter I will experiment more with the climbing setting, setting #4. So far I cannot say enough about this unit. It has met all my expectations to this point and more. It has all the great features of the Fluid2 and much more. Increased stability over an already very stable unit in the Fluid2. Very smooth and quiet operation as well as the ability to level it more easily. Multiple power curve settings make this trainer give you the most real world feel of any trainer I have used to date. For the more advanced rider who may be using a power measuring device by which to train as well as heart rate I highly suggest checking this unit out. The SuperMagneto Pro retails for $419.99 and is available. Some great indoor training workouts can be found here once you have bought your new workout partner. Remember , some riding is better than no riding. Regardless of which trainer option you choose you have taken a big step towards year round cycling fitness. 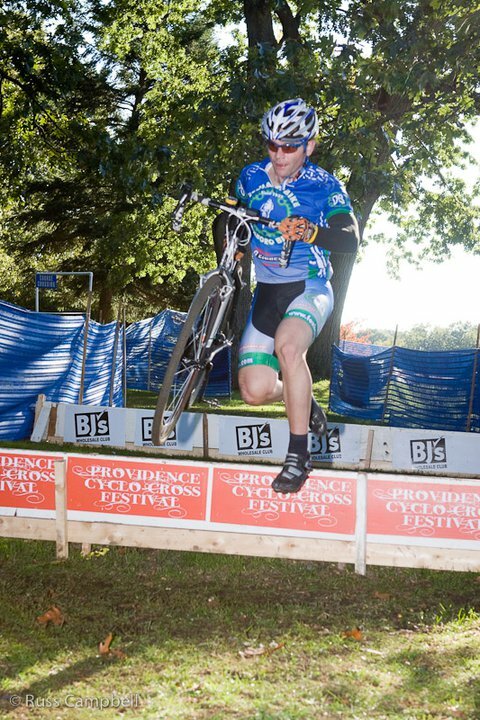 Keep those pedals turning year round ! Great post. I have a couple of questions. 1) How did you check power against RPE? Do you have a power meter? Why not just use your power meter instead of RPE? 2) Where did you get the power curve data? I looked at the CycleOps page and could not find it. 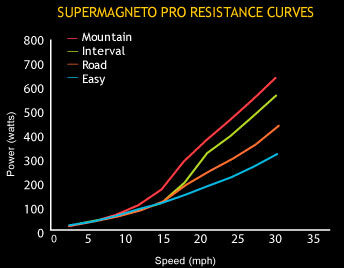 3) Do you know which of the three curves is closest to the curve of the lower priced cycleops Supermagneto? Thanks for the questions. I’ll try my best to answer. 1) I do use a power meter and have for the past 3 seasons. There has been much discussion online regarding why similar wattage on the road versus the trainer can feel different. Most feel it is simply the difference in inertia between the two. Heartrate can also be effected along with RPE . HR is generally regarded as the body’s response to muscular effort , meaning that if wattages are the same ( out vs. indoor) but heartrate is say 8-10 beats higher indoor than that would suggest your muscles are working harder indoors to achieve the same power output. Depending on your training goals this can be very detrimental over time and of course will vary from rider to rider. 2) Here is a link to a nice pdf file showing the different power curves between trainers.